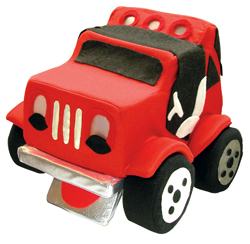 This land rover puppet is designed to help the children make the transition from BGMC to Speed–the–Light. Speedy D. Light puppet scripts are provided in the BGMC annual missions manual. The scripts are recorded on the back of the Winnie–the–World cassettes. Speedy scripts are also available on CD.